and her wonderful ideas for inspiring you. share some of the techniques for you to inspire you. expect on the CD and HERE is the table of content. The Crafters Workshop and the sentiment is by Create with TLC. 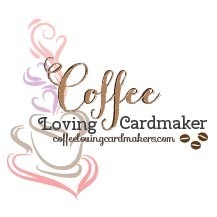 ismade with the owl punch by Stampin'Up!. Have you seen all the other CD's that we have? of the Sensational Stencil CD. and now we have over 500 members. it for making the wedding card for my daughter. A mini heart is being added, for they have a little son now. The background of this card is made with bistre/bister powder. embossing powder. The little heart with red embossing powder. a stamp show and helped him out at his booth. As payment I received some of his stamps. others to use the stamps. a friend came up with the idea: Card Captain. One member sharing a card from Monday to Friday. very thankful for all of you who do this. by Stampin 'Up! and the bistre/ bister powder. 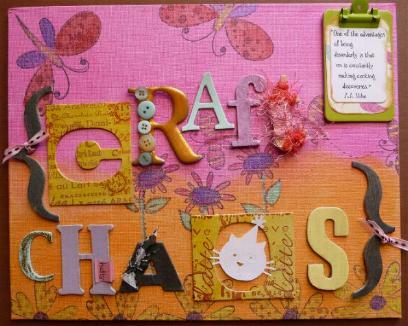 and a scrapbookpage every Sunday. with your help,for many more years. 11. Hetty - you are here! you might win one of Michael's stamps! Stampin'Up! set Work of Art. that is used in combination with water for coloring). The seahorse is also colored with bistre. your image with a brush. 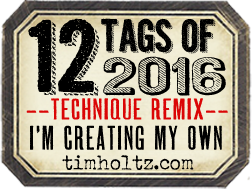 with 11 blogs participating and stamps to win!! 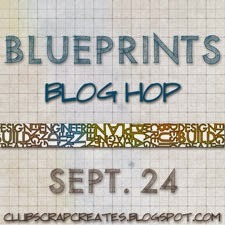 Welcome to Club Scrap's monthly Blog Hop. This month the name of the kit is BLUEPRINT. some tags for the flowers I am going to give. and with a blending tool I colored the paper. envelopes according the instructions on the board. Here the finished envelope with the card. matching acrylpaint colors to the kit. fonts to this kit and printed my own sentiments. with the gelli plateand matching acrylic paints. and added this to the paper to get the shape. Using some stencils on top for fun effects. eat on the apple to wish each other a very sweet year. and little red rhinestones are the pips in this fruit. for a little more Peace to the world. and thanks for leaving your comments. 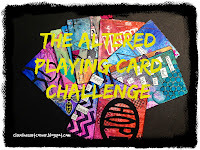 Here are my altered playing cards for week #3. 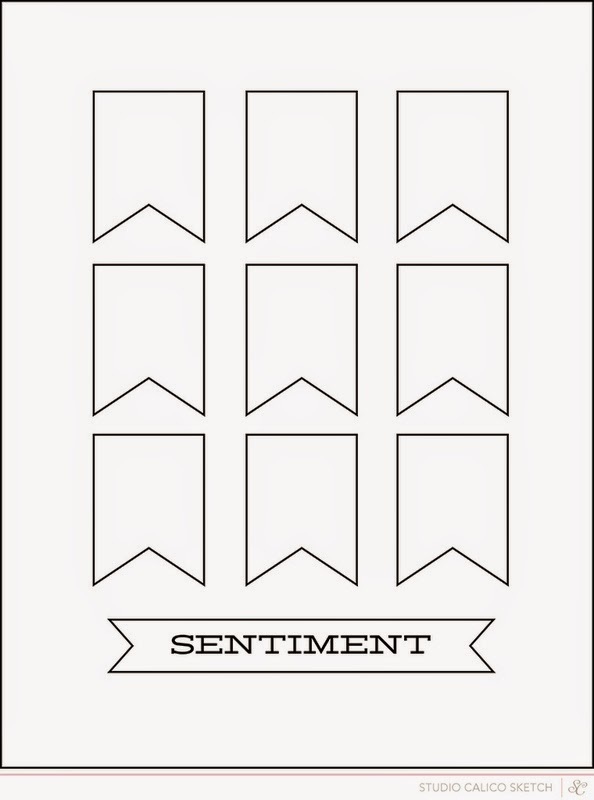 These are the backgrounds of my cards. lettersand added the color with a blending tool. This is the finished card. from Tim Holtz called Autumn Gatherings. is an embellishment from my stash. all their Autumn fruits: rosebuds, chesnuts etc. an ovalpunch. With foam tape i taped them to the fpage. image with distress inks and water. and is absulete a fun acent on the page. Thanks for looking and have a great Sunday! and this is the sketch for September. 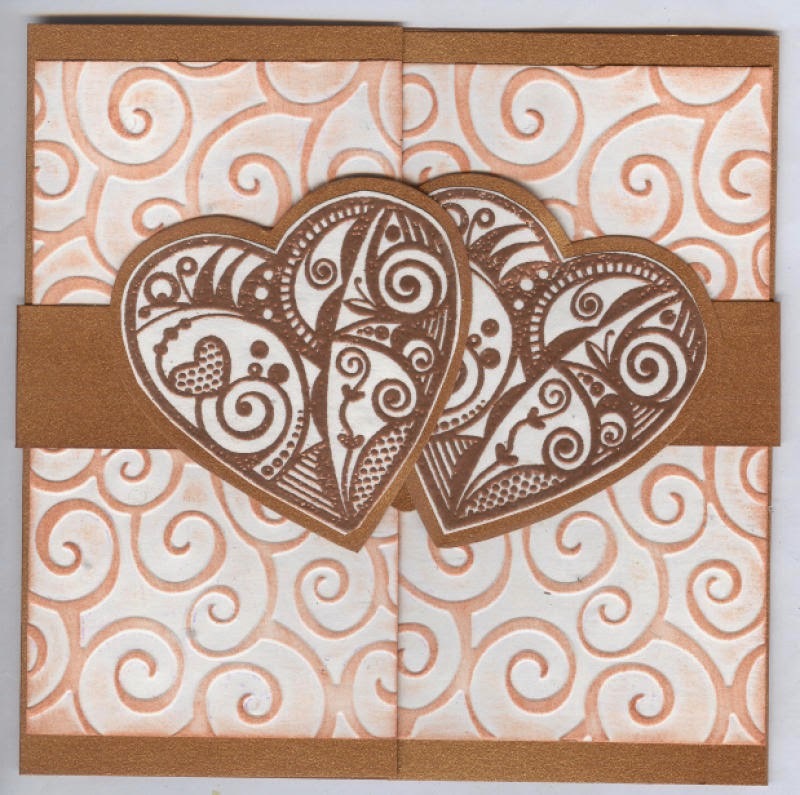 is one of the Tim Holtz papers from a 8x8 inch block. vintage photo distress ink to the embossed script. The sentiment is from the set Simple Sayings. to make themfil to the card. to create your own background. my stamps for another idea. so how about using quil and inkpot. and shapers. I went to work! embossing folder and some spray inks. sprying it with a pearly spray ink. you click on the photo to see a larger version. Here I used the movers and shapers. abackground stamp, before cutting it. I printed this text on the inside of the cards.